← Do You Want to Be a Free-Range Parent? 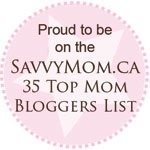 This month, 4 Mothers will host several guest bloggers. 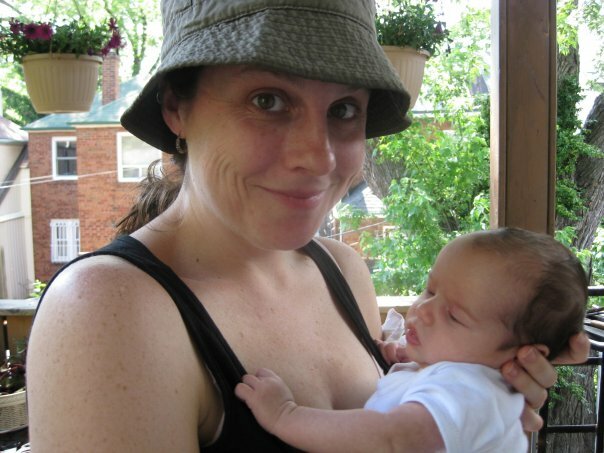 It was hard-won, all the wisdom I acquired during those urgent, blurry first few months of motherhood. I learned to breastfeed lying down, how to wear a baby in a sling, how to push a stroller up a step and into a shop, and how to change a diaper on a picnic table. I learned that our cheap baby carrier wasn’t very good, and that the money we’d spent on the stroller was worth it. I learned to launder cloth diapers, snap-on onesies, and install the car-seat. I learned how not to mind being covered in vomit all the time. And, most importantly, I learned how to breastfeed while holding a book, which was also how I learned to make my life my own again. New motherhood was a re-education of how to be in the world, an awkward stage but a necessary one because the world with a baby in tow is an unexpectedly foreign place. By about six weeks, however, I was beginning to know the language. The culture was starting to seem familiar, and I was getting a sense of the rituals. You might say that I possessed a certain confidence, if you happened to define confidence as “clinging by one’s fingertips to some chaotic version of sanity while dangling dangerously over an abyss.” But I was clinging! I was clinging! Each day I held on was another milestone, and slowly, it was all becoming easier. So basically, I was a parenting expert. Because I’d already figured out that the real so-called parenting experts didn’t know anything—at our house, Dr. Harvey Karp was fast re-christened “Dr. Douchebag”, and I’ll own up to having whispered a few things less than charitable about the late Tracy Hogg. I’d figured out that babies aren’t something that can be learned from a book, that parenthood’s steep learning curve has no shortcuts to climbing. However, I’d climbed so far in such a short time that the view was already impressive, and I decided that I would make my own journey doubly worthwhile by sharing what I’d seen. It was a compulsion, I will admit, the way I insisted on hunting down women in their third trimesters of pregnancy, and horrifying them with stories of how terrible their lives were about to become. But really, I wasn’t responsible for my behaviour in their presence. The very sight of their burgeoning bellies, their innocent bliss, how they kept talking about looking forward to getting the baby out so they could finally get a good night’s sleep again—it would fill me with overwhelming dread, and I’d start displaying symptoms of PTSD. I was only trying to help. It’s true. Though I understand how it appeared that I was a dictator, or worse, that I was projecting my own terrible introduction to motherhood onto others in an attempt to validate my own experiences. I understand why some of these friends stopped calling after a while, but I promise that my sole motivation was only ever altruism. It’s just that whenever I imagined my friends in those first few weeks, as stranded, stretched and alone as I had felt, I’d become some kind of zealot, desperate to pass on the knowledge I’d acquired so that they too could be saved. I’d forgotten that each mother has to come by this knowledge in her own way, and that my expert advice was about as useful as the Baby Whisperer’s. 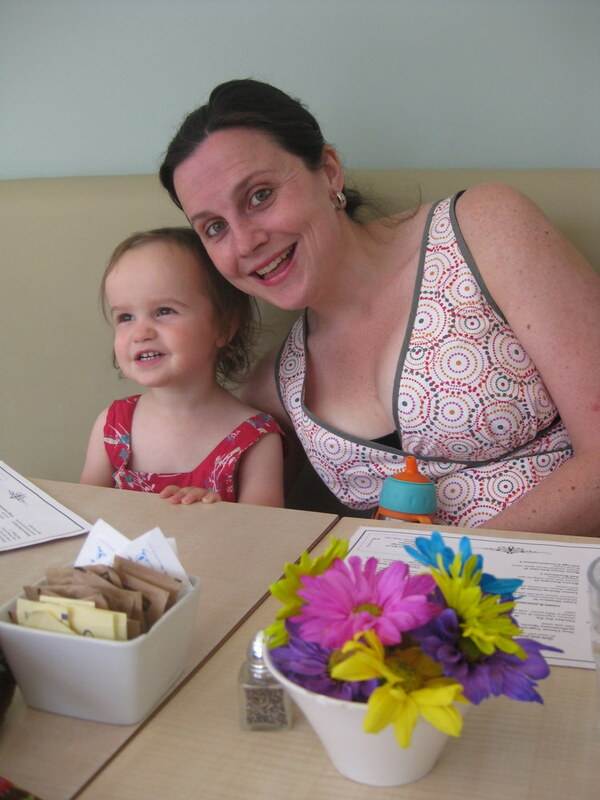 I wish I could say that my compulsion went away with the post-partum crazies, or even that I’d stopped by the end of my daughter’s first year. I kind of wish that I wasn’t stalking the woman around the corner who’s been pushing a stroller around the neighbourhood for a few weeks now, looking a little bit shattered, but I can say that I’m doing my best to leave her alone. I am still learning. Of course, it’s easier, now that I’m no longer just barely clinging to sanity myself, now that I really do have enough confidence that it’s not so hard to see others making choices different from mine. I’ve got enough perspective these days to understand that my desperate warnings did no good because every woman’s experience of new motherhood will be entirely her own, re-invented over and over again. And what she needs from her friends is for them to listen, to validate her story, the good and the bad, and to urge her on in the amazing and miraculous tasks that she is performing every day. Kerry’s essay about new motherhood, “Love Is A Let Down,” was nominated for a National Magazine Award. Originally published in The New Quarterly, it will be re-published in Best Canadian Essays 2011.